The mini discs are 1/2" wide and available in silver, copper or gold plate. The patina and stamping will vary from the photos. Each piece is unique and stamped by hand, one letter at a time. Mini disc: What Color? What to stamp? Font size preference? Beautiful details on the front and back of this angel wing or anchor, you can wear it any direction you like. The glasses are also reversible (same front & back). 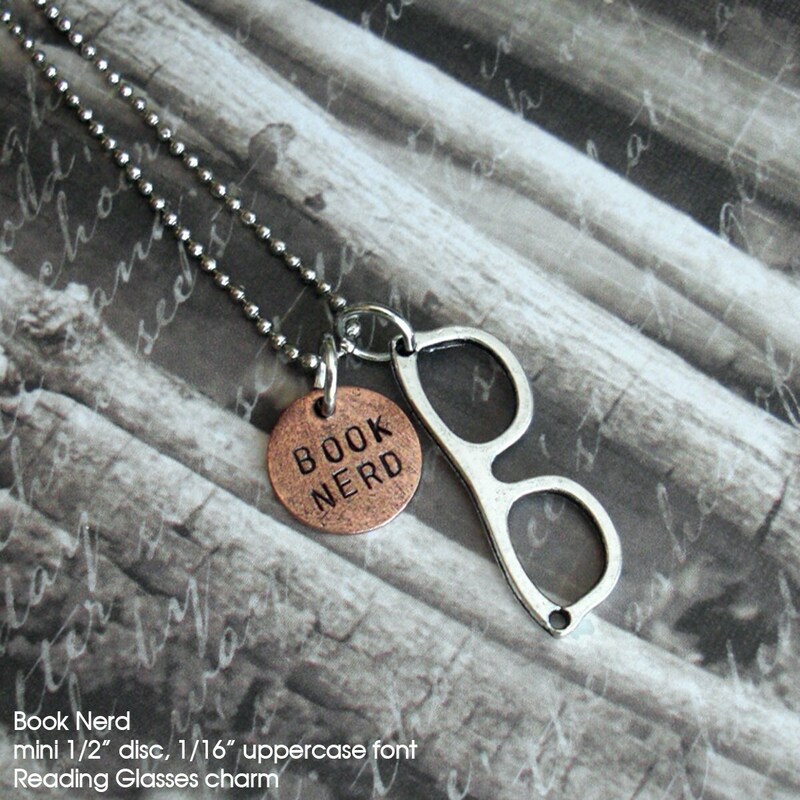 To order ONLY the Glasses, use the Wing listing and write a note to me during checkout that you want the Glasses charm. To add to your charm necklace or keychain, just click on "keep shopping" from your shopping cart, then add another item. The necklace is lovely. The little eye glasses are adorable. The package arrived swiftly. I will enjoy this nicely crafted necklace. Thank you for your quality work. Love it! So cute. Thank you!